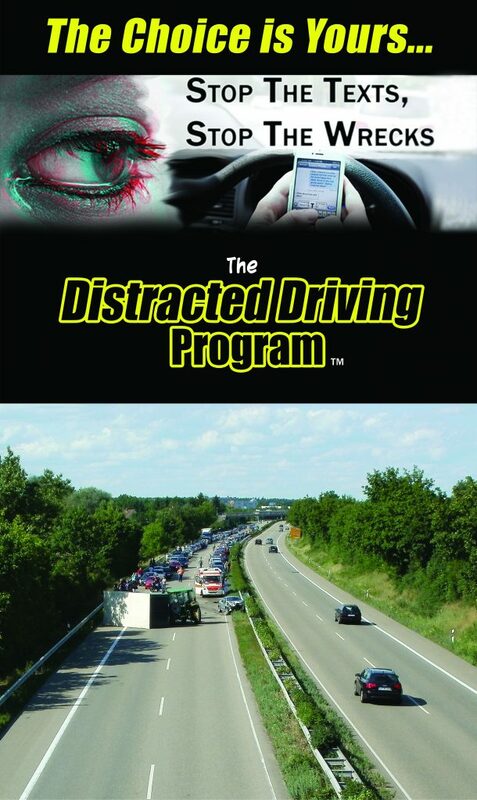 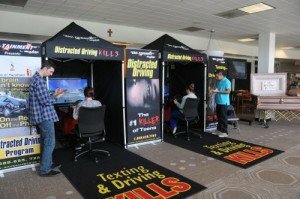 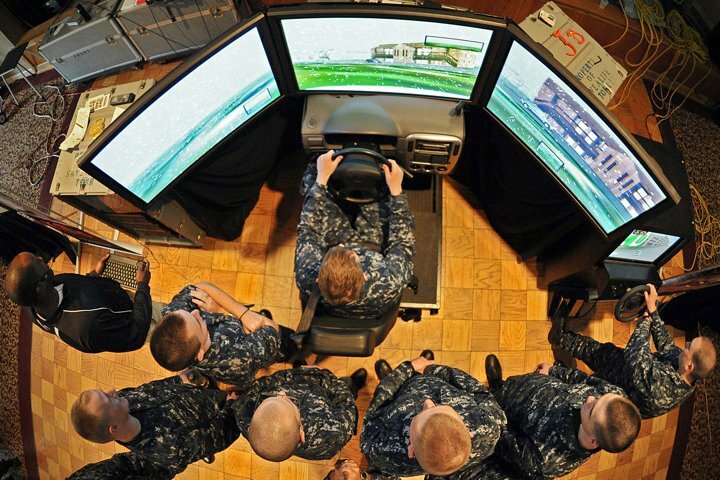 The nation’s leading impaired and distracted driving prevention program! 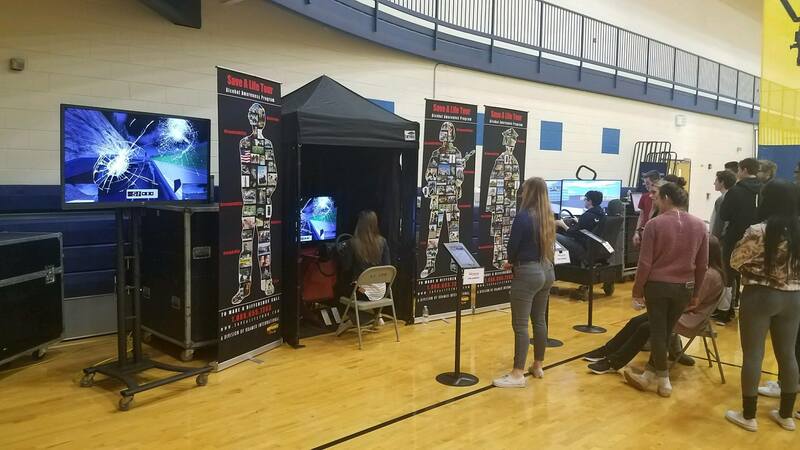 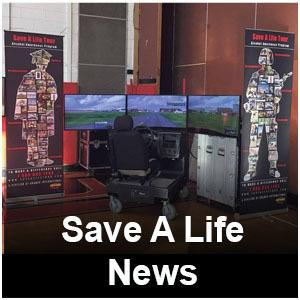 The Save A Life Tour is a comprehensive high impact safe driving awareness program that informs, educates, and demonstrates the potentially deadly consequences resulting from poor choices and decisions made by the operator of a motor vehicle. 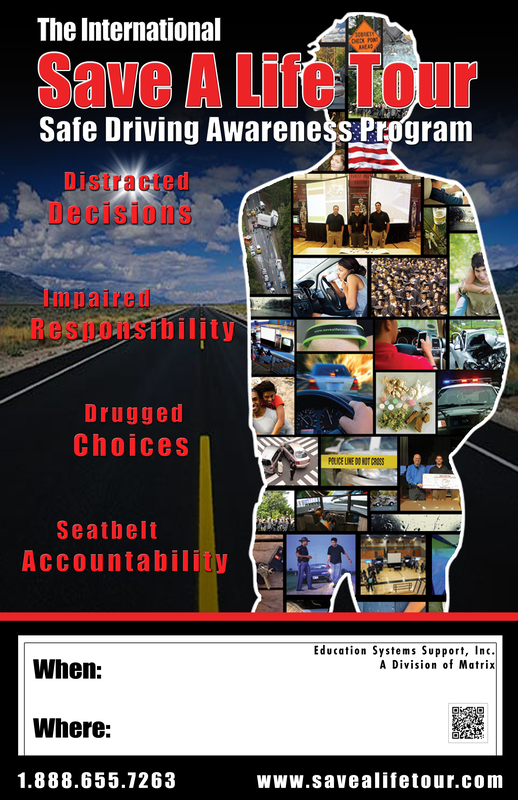 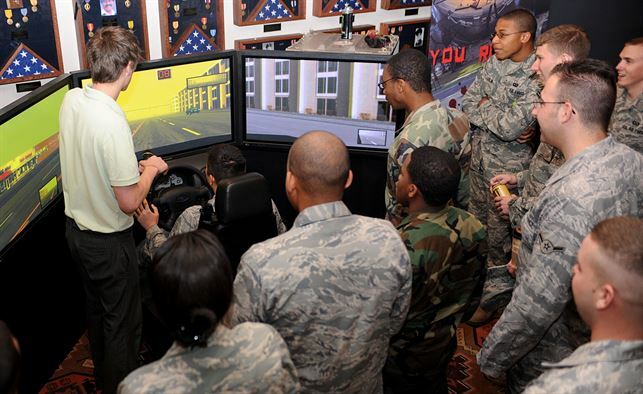 The Save A Life Tour utilizes several methods for educating and demonstrating the effects and consequences that are direct results of poor choices and/or decisions made by operators of a motor vehicle. 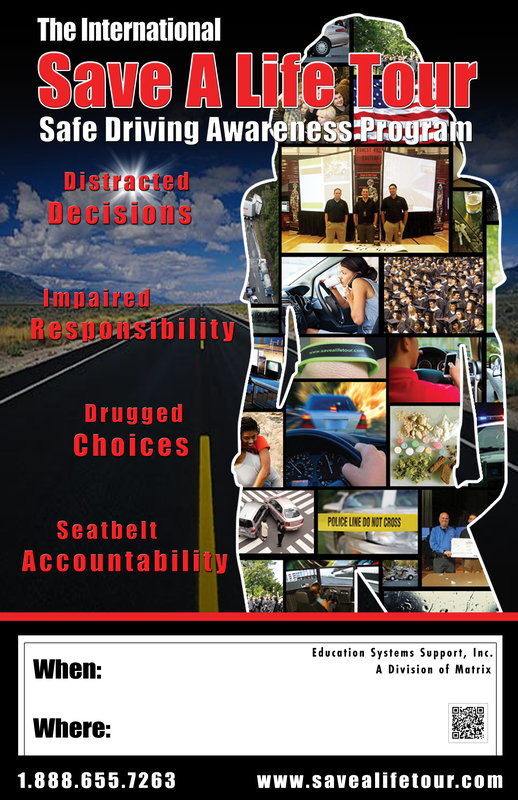 Visual Presentation – Informative visual presentations showing actual footage/pictures of crashes and victim stories. 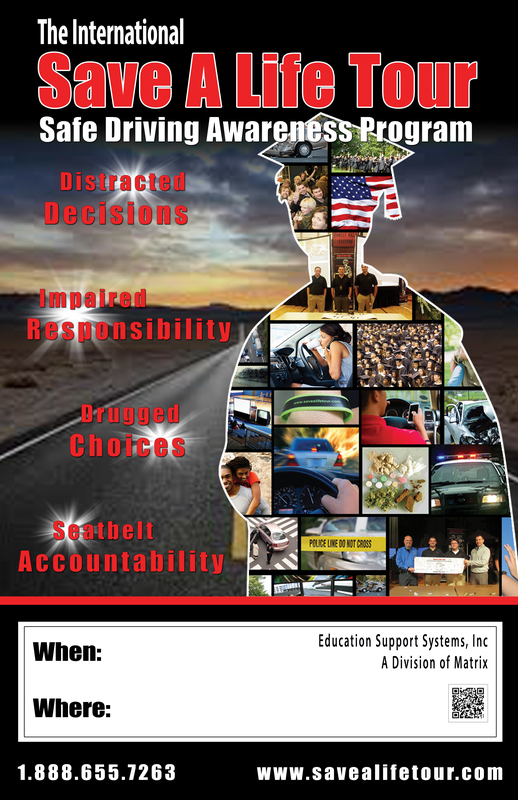 Knowledge Retention –Surveys, Statistical Analysis, Pledge Card, and recognition banner presented to the school to be displayed at event completion. 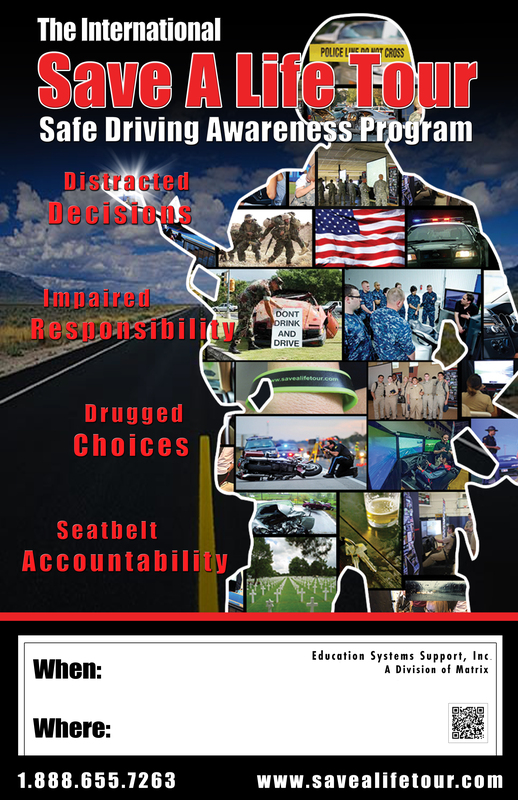 Informative Current Statistics – Current ongoing fact based data and information. 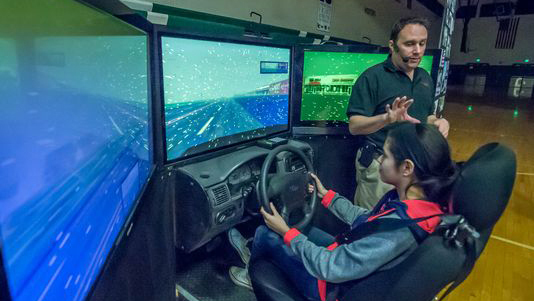 Tour manager, CJ, explains to the students what the driver is experiencing on the Impaired Driving Simulator. 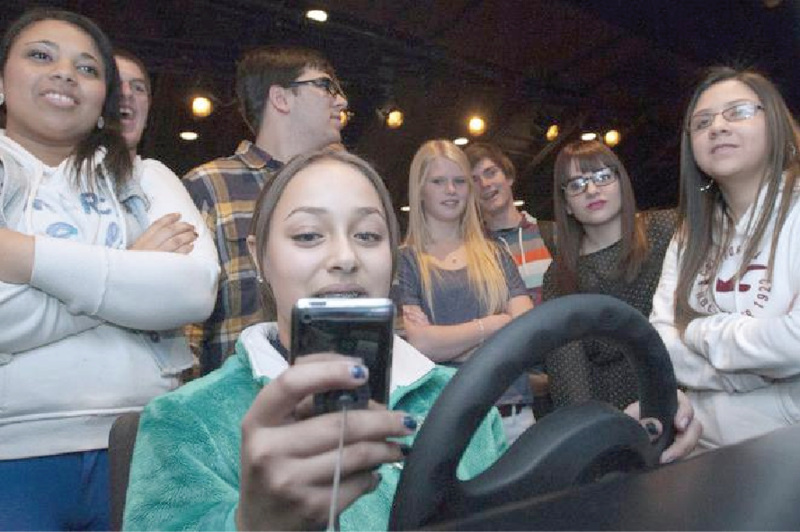 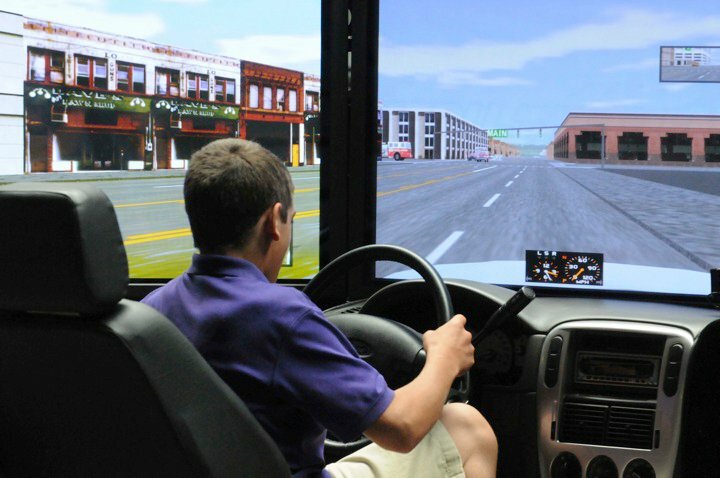 A student sends a text while using the Distracted Driving Simulator. 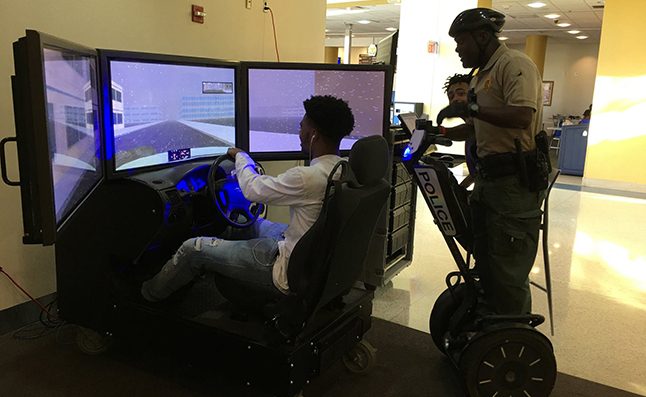 A student at the impaired driving simulator. 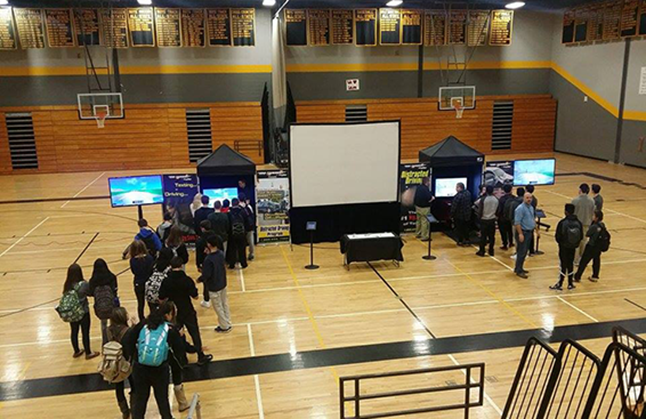 We set up our presentation to best suit the venue. 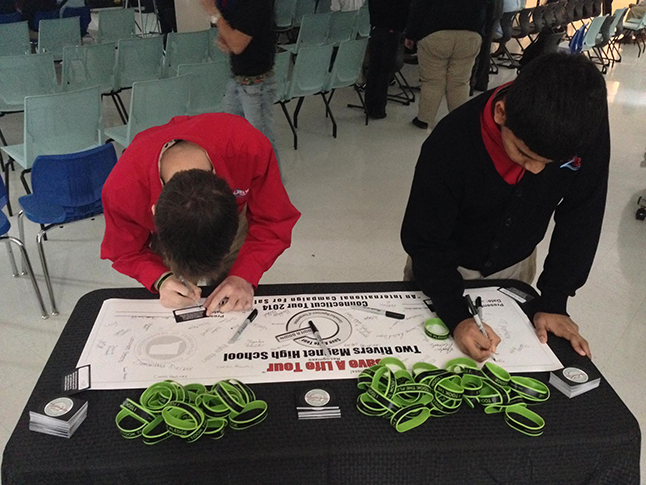 Students signing their names to a banner, pledging to be a safe driver. 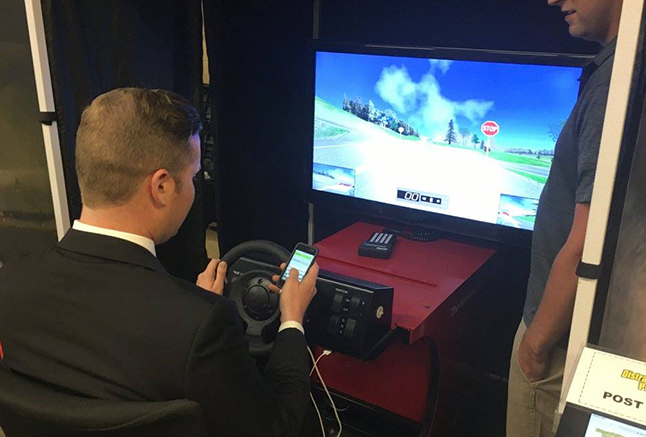 A reporter tests out the Distracted Driving Simulator. 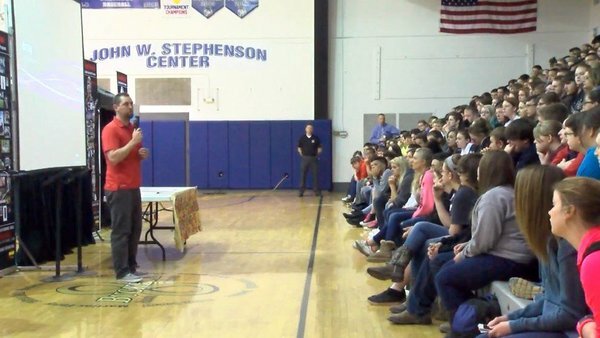 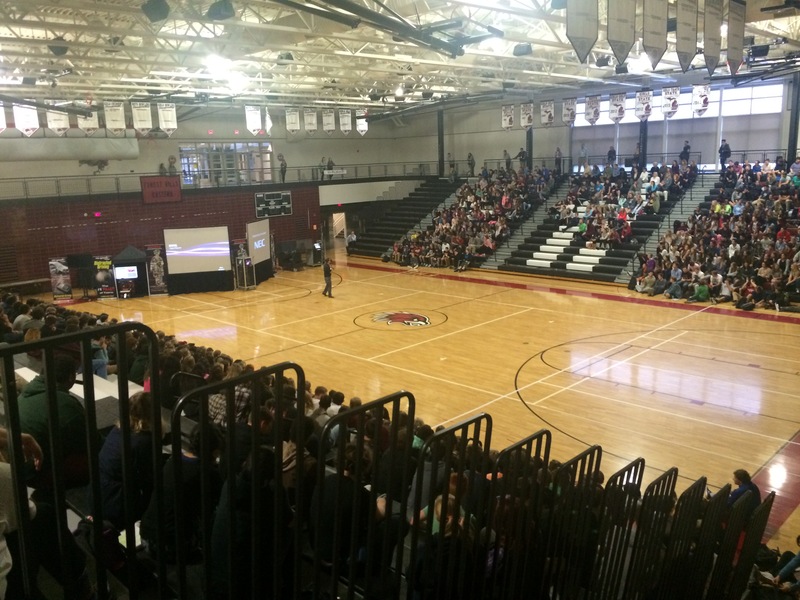 One of our Save A Life Tour presenters talks to an audience of high school students.